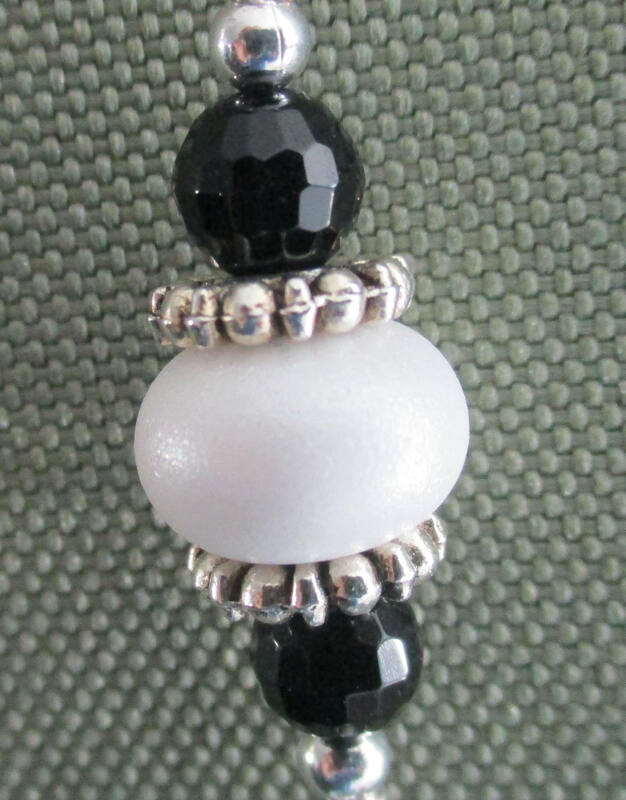 This necklace uses classic black and white to make a beautiful lanyard, long pendant necklace or short double strand pendant necklace. Lanyards are worn anywhere an I.D. Badge is required - conventions, classrooms, hospitals, etc. 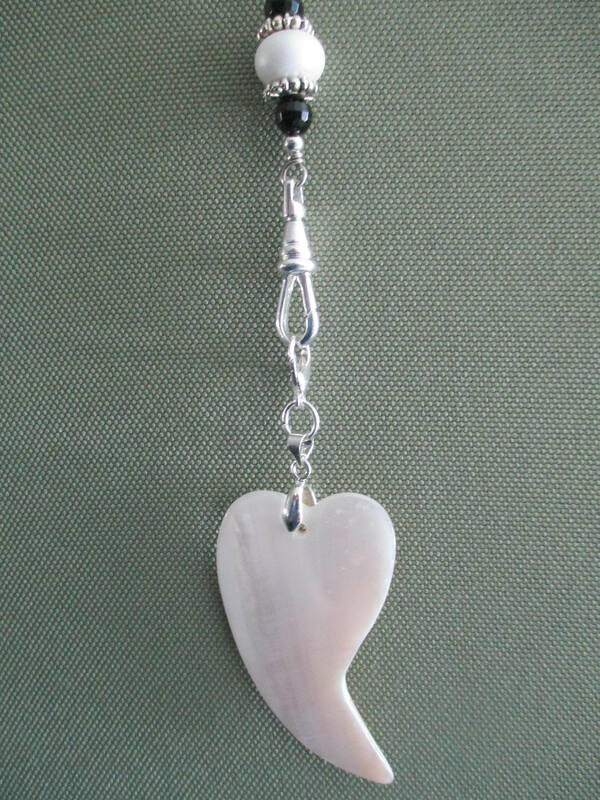 My lanyards are made from gemstones, pearls or shell. A beautiful alternative to the utilitarian assortment usually available. Even though they are beautiful they are also sturdy having wrapped bead connections, double crimps and oval heavy guage jump rings. This particular lanyard is 32" (81cm) long to lanyard clip. 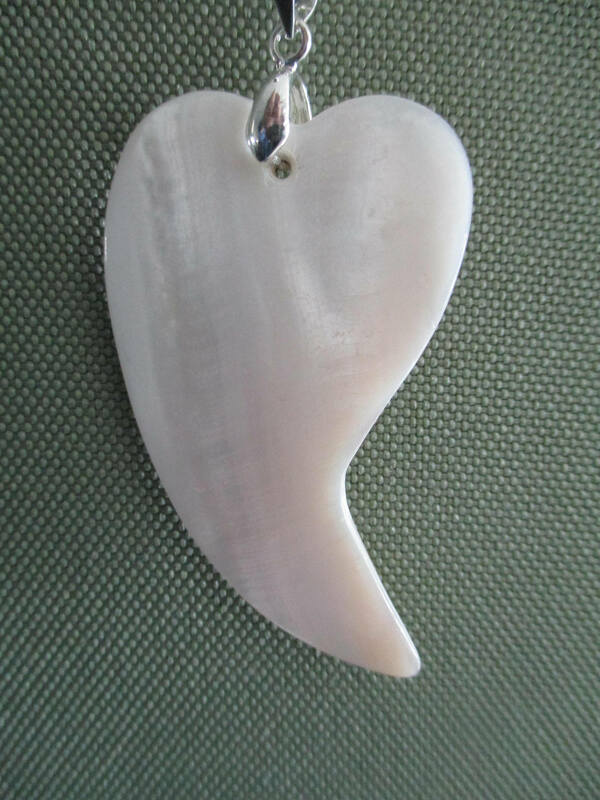 Shell Heart adds an additional 3" (8cm). Double strand conversion necklace is 20" (51cm). 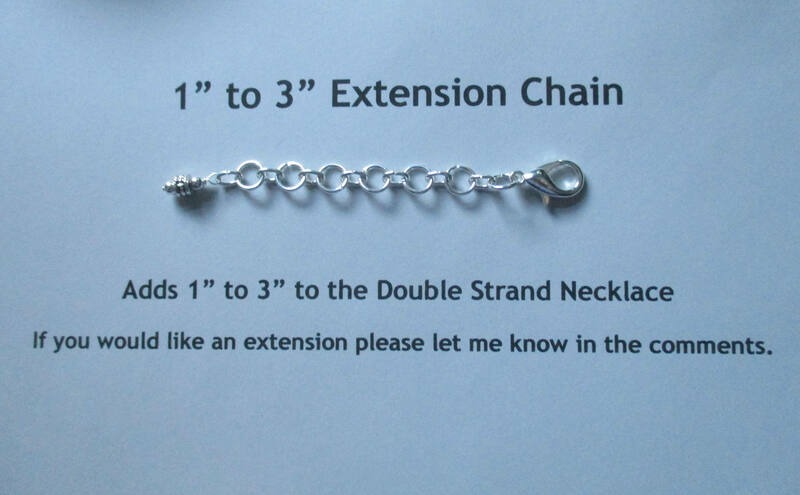 If the 1" (3cm) to 3" (8cm) extension is requested, the double strand pendant necklace is adjustable from 20" (51cm) to 23" (58cm). 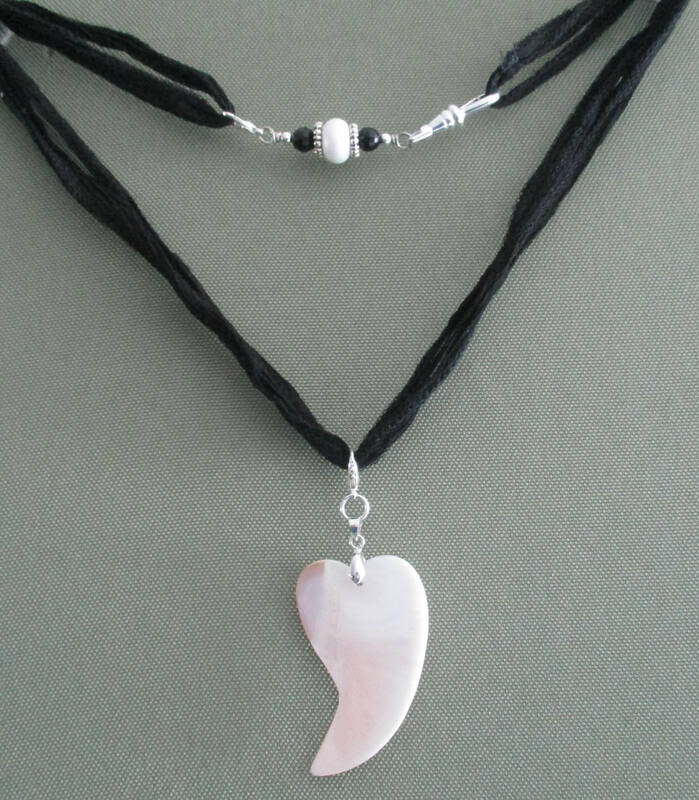 Included in this lanyard is black silk ribbon, a 10mm (1/3") white shimmery lampwork glass bead, 6mm (1/4") faceted black onyx beads and a 57mm x 29mm (2 1/4" x 1 1/4") uniquely carved white shell heart. 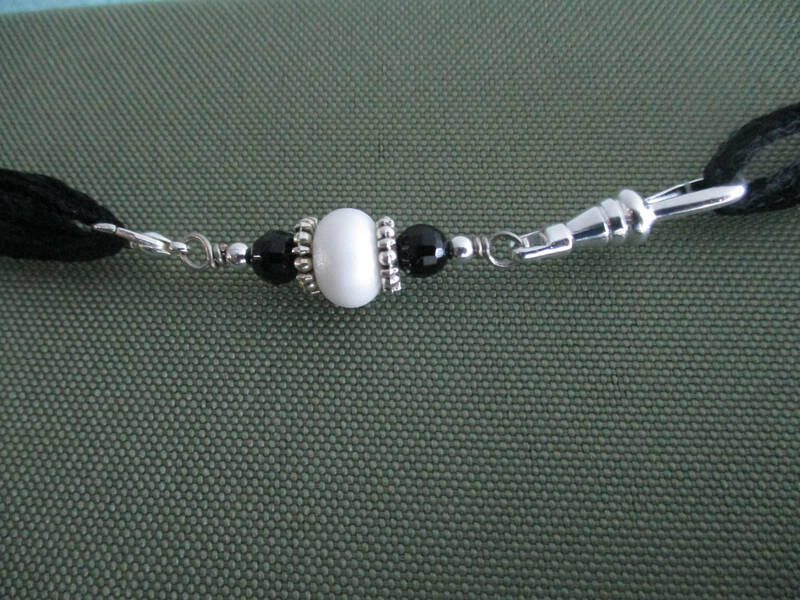 Lanyard clasp, and lobster clasps are silver plated. A clear plastic I.D. badge holder is also included. 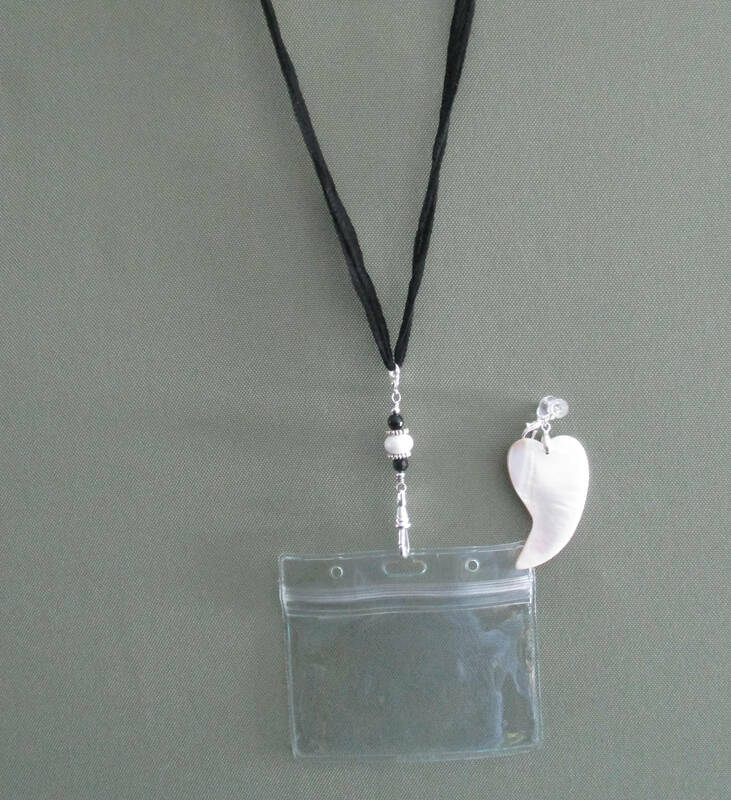 ****Please note: when worn as a lanyard it is claspless. 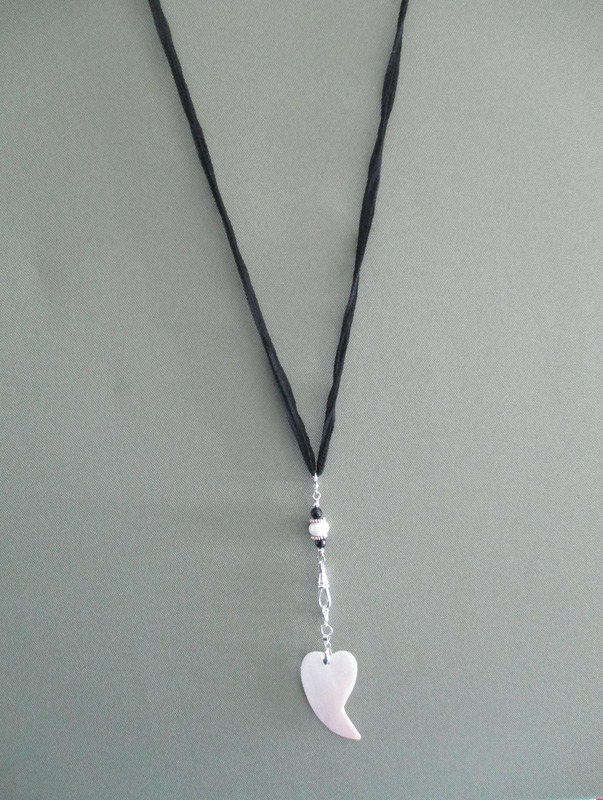 If you choose a breakaway clasp or lobster clasp the lanyard can no longer be worn as a double strand necklace. ****If you need a different length, please let me know in the comments when checking out. ****If you would like the 3" extension, please let me know in the comments when checking out.